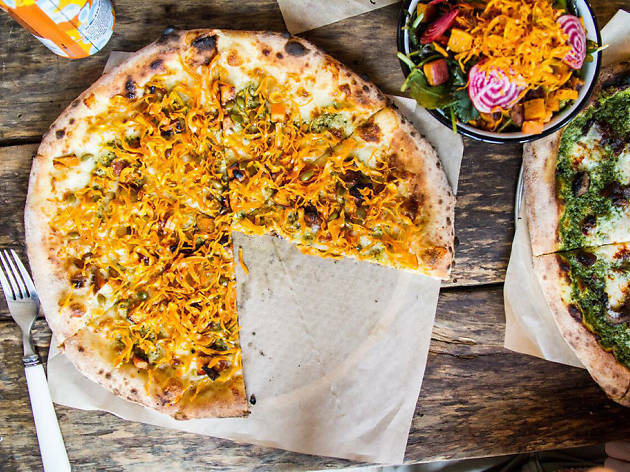 This wood-fired pizzeria first got its start as a farmers’ market stand, where guests had the option to top their pies with the produce purchased at other stands. Though the team has since upgraded to a brick and mortar shop in Petworth, they haven’t lost that farm stand mentality. 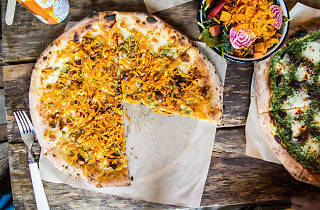 Many of the toppings are grown just across the street on co-owner Andrew Dana’s rooftop garden, and pie styles rotate depending on what’s in season. Make sure to order the Green Monster: A year-round favorite made with pesto, fresh mozzarella, feta zucchini and kale.